Structural rearrangements of chromosomes include both inversions and translocations, which may have detrimental effects on an organism. A chromosome inversion is the detachment, 180° rotation, and reinsertion of part of a chromosome; this may have no effect on the organism, but if the inversion occurs within a gene or moves a gene away from its regulatory elements it can have an adverse effect. 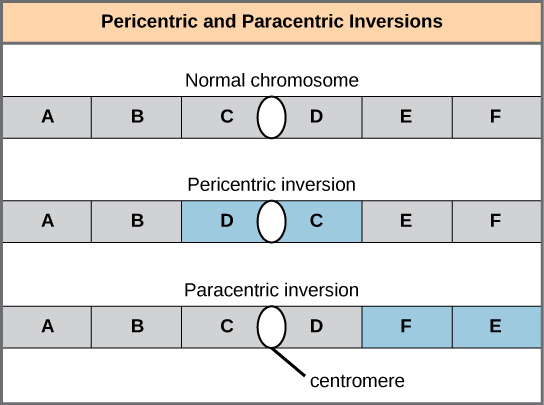 Pericentric inversions include the centromere, while paracentric inversions occur outside of the centromere; a pericentric inversion can change the length of the chromosome arms above and below the centromere. A pericentric inversion on chromsome 18 appears to have been involved in the evolution of humans. A translocation occurs when a segment of a chromosome dissociates and reattaches to a different, nonhomologous chromosome and can be benign or detrimental; in reciprocal translocations, there is no gain or loss of genetic information, so these are usually benign. Cytologists have characterized numerous structural rearrangements in chromosomes, but chromosome inversions and translocations are the most common. Both are identified during meiosis by the adaptive pairing of rearranged chromosomes with their former homologs to maintain appropriate gene alignment. If the genes carried on two homologs are not oriented correctly, a recombination event could result in the loss of genes from one chromosome and the gain of genes on the other. This would produce aneuploid gametes. A chromosome inversion is the detachment, 180° rotation, and reinsertion of part of a chromosome. Inversions may occur in nature as a result of mechanical shear, or from the action of transposable elements (special DNA sequences capable of facilitating the rearrangement of chromosome segments with the help of enzymes that cut and paste DNA sequences). Unless they disrupt a gene sequence, inversions only change the orientation of genes and are likely to have milder effects than aneuploid errors. However, altered gene orientation can result in functional changes because regulators of gene expression could be moved out of position with respect to their targets, causing aberrant levels of gene products. An inversion can be pericentric and include the centromere, or paracentric and occur outside of the centromere. A pericentric inversion that is asymmetric about the centromere can change the relative lengths of the chromosome arms, making these inversions easily identifiable. Inversions can be pericentric or paracentric: Pericentric inversions include the centromere, and paracentric inversions do not. A pericentric inversion can change the relative lengths of the chromosome arms; a paracentric inversion cannot. When one homologous chromosome undergoes an inversion, but the other does not, the individual is described as an inversion heterozygote. To maintain point-for-point synapsis during meiosis, one homolog must form a loop, and the other homolog must mold around it. Although this topology can ensure that the genes are correctly aligned, it also forces the homologs to stretch and can be associated with regions of imprecise synapsis. 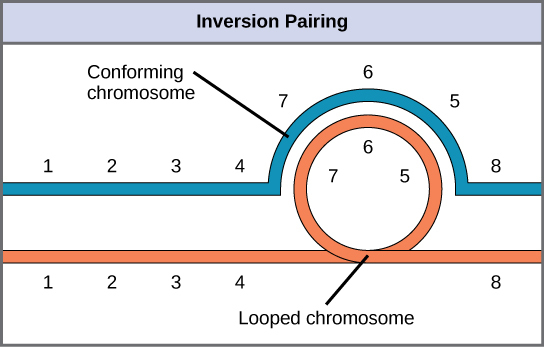 Inversion heterozygotes: When one chromosome undergoes an inversion, but the other does not, one chromosome must form an inverted loop to retain point-for-point interaction during synapsis. This inversion pairing is essential to maintaining gene alignment during meiosis and to allow for recombination. Not all structural rearrangements of chromosomes produce nonviable, impaired, or infertile individuals. In rare instances, such a change can result in the evolution of a new species. In fact, a pericentric inversion in chromosome 18 appears to have contributed to the evolution of humans. This inversion is not present in our closest genetic relatives, the chimpanzees. Humans and chimpanzees differ cytogenetically by pericentric inversions on several chromosomes and by the fusion of two separate chromosomes in chimpanzees that correspond to chromosome two in humans. The pericentric chromosome 18 inversion is believed to have occurred in early humans following their divergence from a common ancestor with chimpanzees approximately five million years ago. Researchers characterizing this inversion have suggested that approximately 19,000 nucleotide bases were duplicated on 18p, and the duplicated region inverted and reinserted on chromosome 18 of an ancestral human. A comparison of human and chimpanzee genes in the region of this inversion indicates that two genes—ROCK1 and USP14—that are adjacent on chimpanzee chromosome 17 (which corresponds to human chromosome 18) are more distantly positioned on human chromosome 18. This suggests that one of the inversion breakpoints occurred between these two genes. Interestingly, humans and chimpanzees express USP14 at distinct levels in specific cell types, including cortical cells and fibroblasts. Perhaps the chromosome 18 inversion in an ancestral human repositioned specific genes and reset their expression levels in a useful way. Because both ROCK1 and USP14 encode cellular enzymes, a change in their expression could alter cellular function. It is not known how this inversion contributed to hominid evolution, but it appears to be a significant factor in the divergence of humans from other primates. 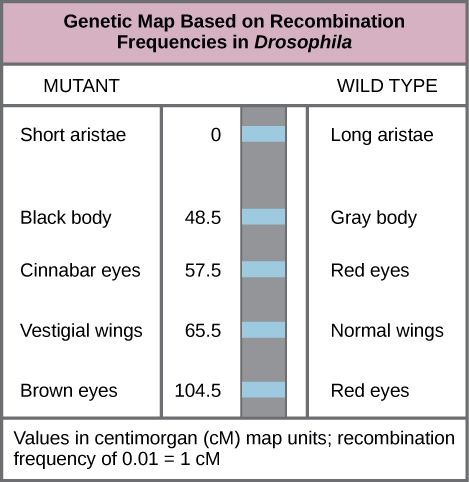 A translocation occurs when a segment of a chromosome dissociates and reattaches to a different, nonhomologous chromosome. 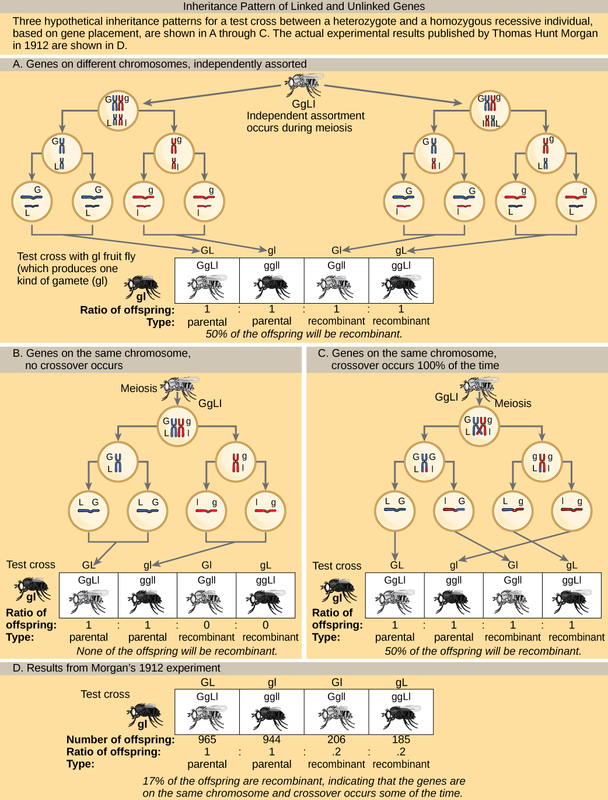 Translocations can be benign or have devastating effects depending on how the positions of genes are altered with respect to regulatory sequences. Notably, specific translocations have been associated with several cancers and with schizophrenia. Reciprocal translocations result from the exchange of chromosome segments between two nonhomologous chromosomes such that there is no gain or loss of genetic information. 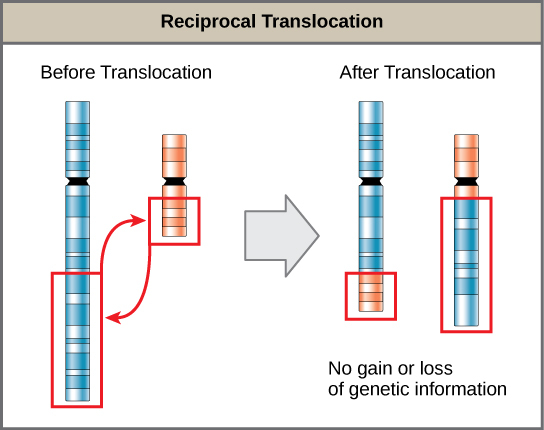 Reciprocal translocations do not involve loss of genetic information: A reciprocal translocation occurs when a segment of DNA is transferred from one chromosome to another, nonhomologous chromosome.